I am planning a little dinner party this weekend to celebrate Mike and my good friend Hillary’s birthdays. Just a few people are coming and it is going to be tons of fun. I am a big fan of entertaining small groups and cooking everything. Mike and I find it a ton of fun to cook together and to entertain our friends when we have plenty of time to do so. It should be lovely and full of lots of fun. Other than that I plan to enjoy sleeping in some and maybe with the snow falling we can even take our snow shoes out for a little walk in the woods. 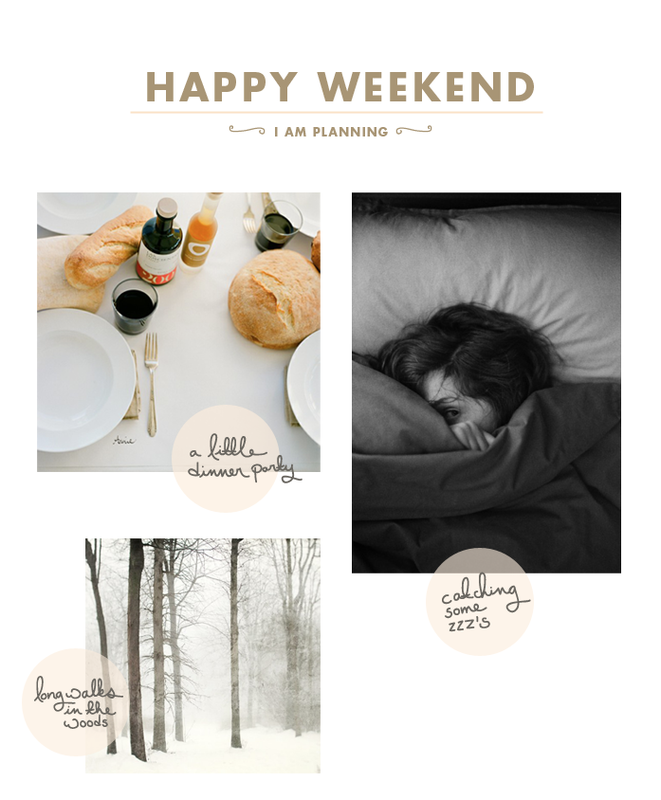 What are your plans this weekend? Any favorite dinner party recipes?